Thyssenkrupp is a global diversified industrial group operating in six business areas: Components Technology, Elevator Technology, Industrial Solutions, Materials Services, Steel Europe and Steel Americas. Employing over 158,000 employees in 79 countries. Summertown was appointed to design and build thyssenkrupp’s new office that consolidated all its business units into one new location. 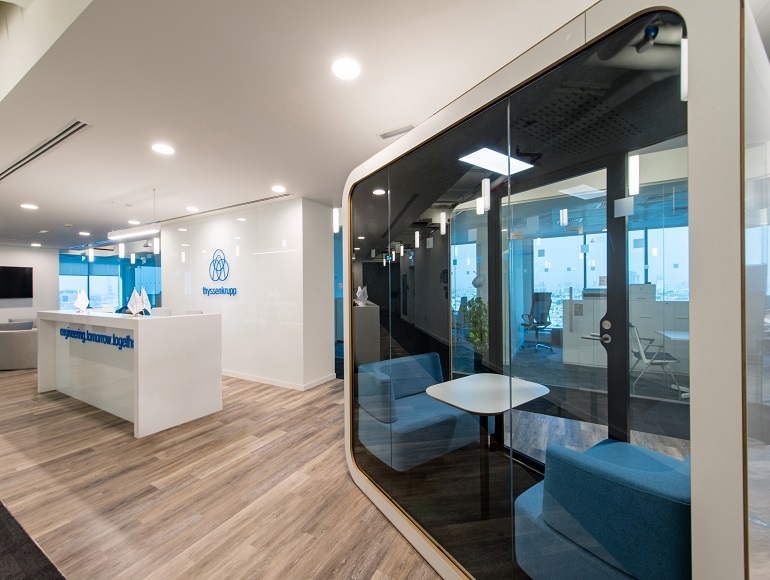 The client’s brief was to retro-fit their new workspace with a functional and minimalist design whilst incorporating thyssenkrupp’s brand ethos and design specifications from other country offices. One of main challenges of the project was to meet a tight budget. 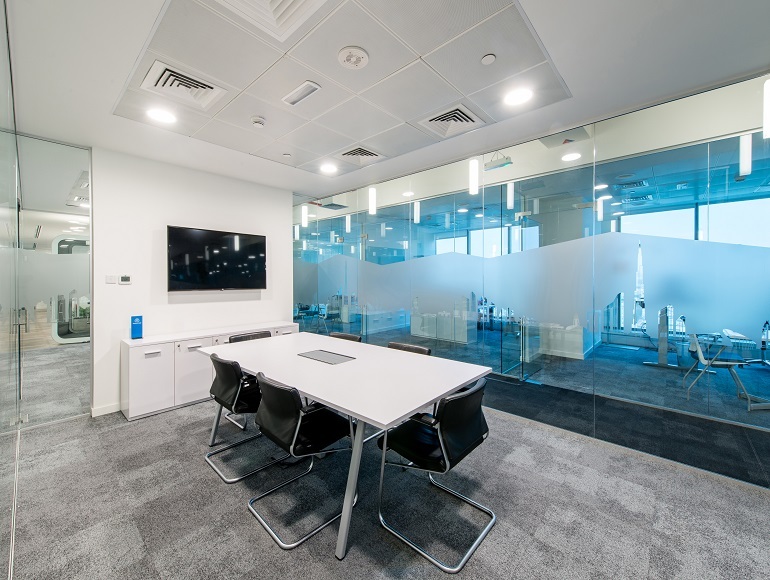 During the pre-contract consultation phase, we proposed assessing their site to identify what materials and existing fixtures and fittings could be reused during the fit out of their new workspace. This included glass walls and wooden doors. As a result of this innovative approach, we significantly reduced the environmental impact of the project and saved the client over AED500,000. Thus, demonstrating our commitment to achieving sustainable office fit outs. 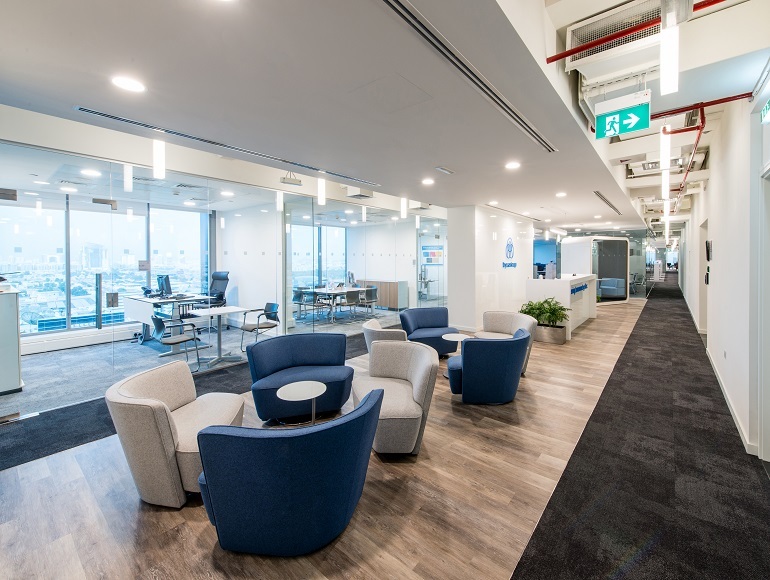 In partnership with designer George Kahler, and project managers JLL, Summertown interiors delivered a fresh, functional office that utilises natural light, and maintains thyssenkrupp’s brand essence. 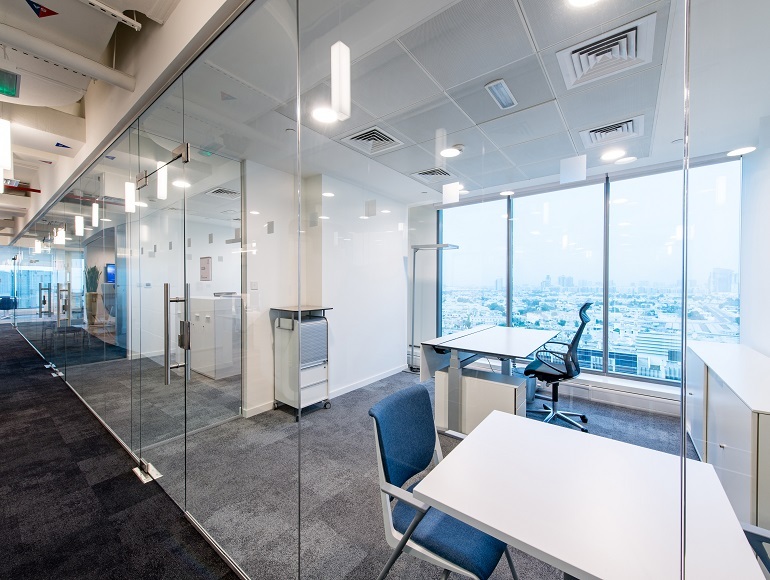 The new workspace, spread across two floors, includes light filled executive offices, a multi-functional training room, a reception and pantry on each floor and quiet zones.